Much to the disappointment of his grandfather, Hywel Jones spurned a career on the high seas to become a chef. Those that have enjoyed his bright, precise cooking since would agree that it was a decision well-made. Hywel was just a week away from joining the Royal Navy when he got the call from catering college to say that he had been accepted onto a course. He has never looked back: by 18 Jones was out of South Wales and cooking at premier destinations in London such as Royal Garden, Nico Central and the Hyde Park Hotel – where a certain Marco Pierre White was his boss. It was while Head Chef at Foliage, though, that he truly made his name, winning a Michelin star and earning much praise for dishes that displayed ‘pinpoint execution’ and ‘depth of flavour’ according to The AA Restaurant Guide. Such execution is only achieved consistently by a rigorous approach to kitchen management, and Jones certainly runs his current kitchen, the much feted Lucknam Park, with Naval-like efficiency. His approach is inspired by his mentor, David Nichols, whom he has praised as a ‘father figure’. Flavour combinations at Lucknam Park may be relatively classical and reflect the seasons, but Jones’ technical proficiency and aesthetic presentation ensure that eating at The Park feels as indulgent as it should. His signature dish of pork belly with caramelised apples, foie gras and cider sauce can usually be found on the menu at The Park, while at the brasserie there are creations like confit duck with greens, ginger and plum and star anise relish to be sampled. If the food feels reassuringly contemporary, Lucknam itself offers a soiree into countless eras. A deep sense of history is confirmed by the knowledge that the looming trees at the entrance, far from being merely a design feature, were used to conceal parked Spitfires in the Second World War. 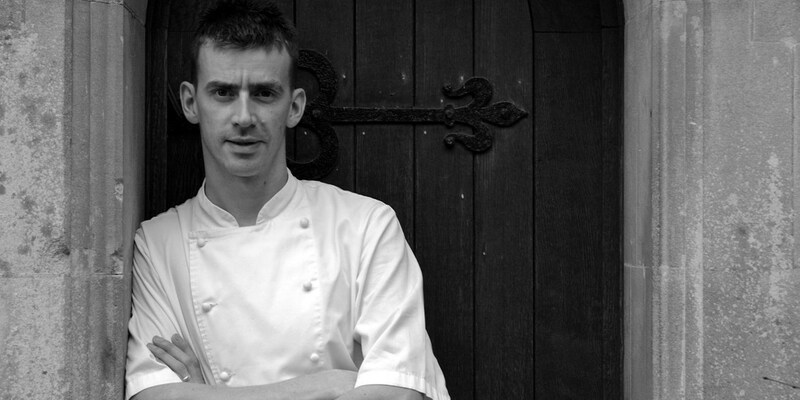 Jones’ career straddles two eras; the classically French-style cuisine fashioned by the Roux brothers and Jones’ own early inspiration, Pierre Koffmann, in the eighties and nineties; and the more modern style of gastronomy that we see today – less sauce Bordelaise, more spherified peas. While Jones sees the value in both styles, he believes in letting raw ingredients do the work. ‘Buy top quality ingredients, prepare them sensibly and well and then if you want to tweak them with a few little twists that's all well and good - but it should only ever be to enhance and not replace them,’ he told Staff Canteen.